This is the first recycle bin from Sedona Recycles adorned with original artwork. The art, a copy from an original from Sedona artist Jack Proctor is visible to the public from the side of Saddlerock Circle, with the help from Combs Construction who provided a road covering. The expansion and banner came from Marc Jacobson of Sun Signs of Sedona from the photography of Proctor’s art by Miguel Guzman. 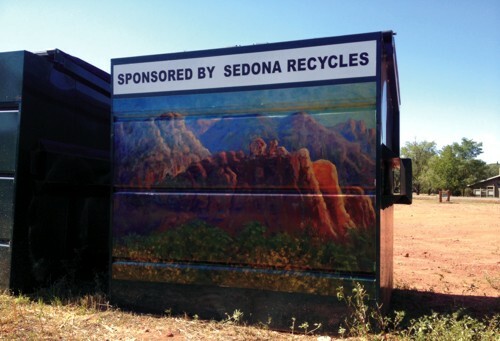 Sedona Recycles plans to add art to as many bins as possible in the near future. Two more bins are slated for art on Saddlerock Circle. Sedona Recycles hopes that by combining art with recycling, more people will reduce, reuse and recycle to keep the red rocks green. SEDONA, AZ. It’s a bird, it’s a plane, it’s a UFO, it’s a vortex–no–it’s Superman. The DC Comics super hero was rumored to have recently been spotted in the skies over Sedona, Arizona. While soaring in between the contrails over Sedona, he must have decided to drop in on his good friend, Sir William Randolph, World Famous Publisher of the Sedona Excentric. We tracked down Sir William at an event at the Sedona Arts Center to learn the truth of the story. As if Superman himself magically appeared, Sir William summoned a hastily called press conference. Reporters, art enthusiasts and onlookers gathered to hear the constant words of wisdom from Sedona’s own super-man. 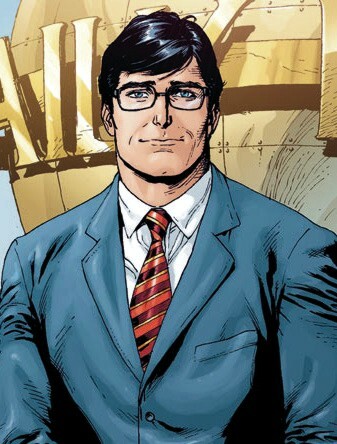 According to Superman writers, Clark Kent, Superman’s not so secret alter ego, has quit the Daily Planet in search of a position at a paper with integrity, seeking journalistic truth and justice. That’s where the World Famous Sedona Excentric comes in. “Are you saying you interviewed Clark Kent for a job?” asked a reporter from Sedona’s small, other paper. “So, Sir William, are you saying that Superman is moving to Sedona?” asked a reporter from an art magazine. “But he’s your friend,” shouted someone from the back of the room. “Look, for years people have called me Superman because of all the things I got done that seemed impossible. I put a restaurant on Bell Rock, hollowed out Coffee Pot Rock for a casino, found a nuclear submarine in Oak Creek and built the Sedona Hydraulic Interpenetrative Transit System. Of course, I took some flack for the acronym for that one,” Sir William unabashedly confessed. “I built Polo Grounds, a Super Slide Water Park, a Castle, a Nuclear Power Plant–all in Sedona. And you want me to be impressed by a guy in tights and a cape flying around fighting crime?” Sir William chuckled. “What do you mean Clark Kent and Lois Lane got divorced?” cried some distraught, sensitive art lover. “Golly, gee willickers, why Sedona of all places?” asked some guy. “Is there enough crime here to keep Superman busy? 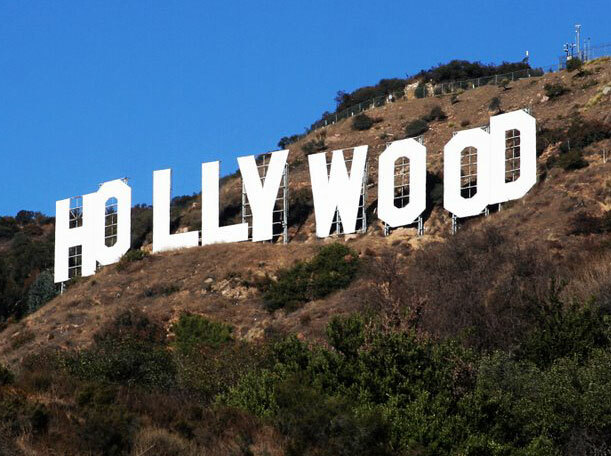 With his talents, isn’t he better suited to live in a place like Metropolis or Chicago or Miami?” asked some other guy. We are left wondering if Sir William did indeed hire Clark Kent, as he left abruptly, gesturing to the crowd and ascending into his waiting limousine.